Listen Babes, this new arrival is the perfect staple piece for this season. 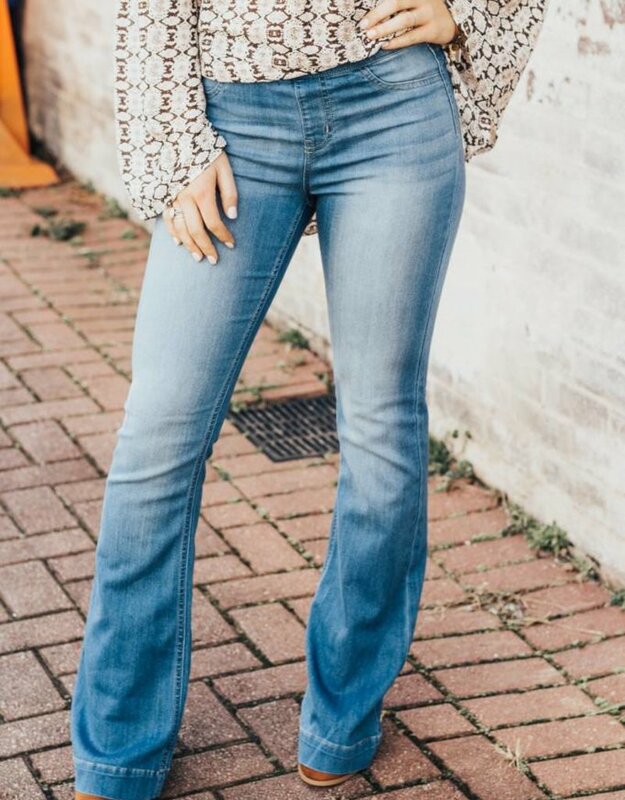 Every girl needs the perfect pair of flare jeans and these are just the one! This mid rise & light wash is so on trend for this upcoming Spring season! You will definitely want to grab a pair of these bad boys before they sell out!